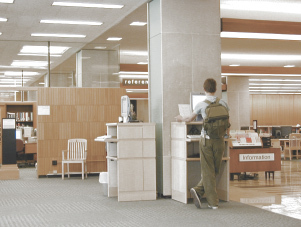 The University's main research library is the eleventh largest book repository in the nation but still used an overly opaque reading room designed in the 1960's. Barradas and Partners Architects were commissioned to provide the design for the reference reading areas and Online Public Access Catalog Stations (OPCACS). 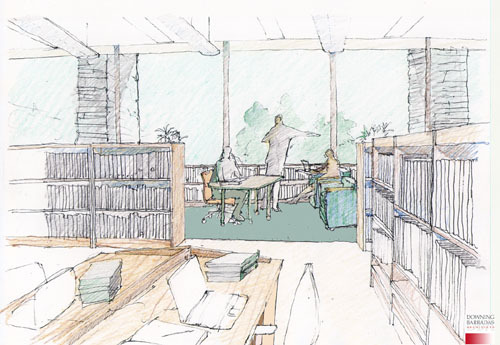 The design studies suggested a scheme with lower book shelves, new flexible carrels that combined into tables of varying lengths, maple chairs, new task lighting and tile carpeting. Wireless networking and various technologies which allow electrical power to be incorporated into the furniture are combined to make the grand reading room open to the Arts Quadrangle of Cornell University. Color and materials of the connecting seven storied underground library, Kroch Asian Studies, were incorporated to follow the wide corridor that runs through the complex, known affectionately as "Tiger Alley". This design considers Access Services (Circulation Desk), Information station, Reference stations, Cafe and entrance sequences for this entire group of buildings near the symbolic entrance to Cornell. The design Choreographs sequences between Asian Studies, Information Station, Reference Services, Access Services and entry. 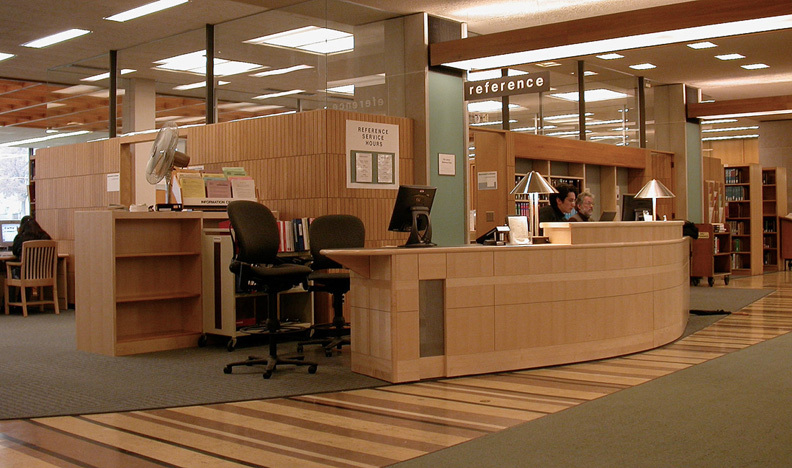 The first floor of Olin Library includes the reference desk, circulation, a coffee shop and reading space. and a sweeping reference desk.